With Antonio Brown trade, are Raiders finally showing signs of competency? 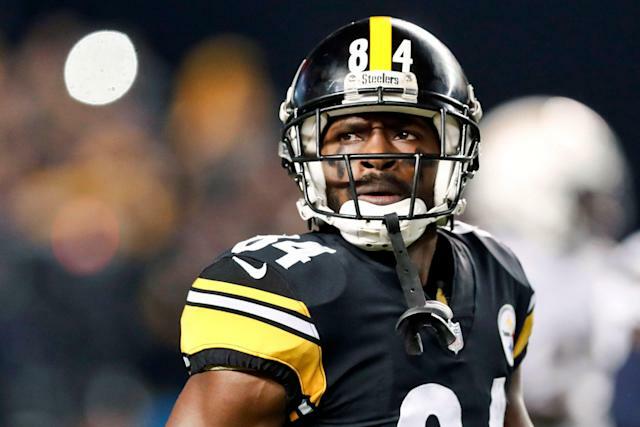 Across the NFL, many seem to be praising both Antonio Brown (for finessing the system for more loot) and the Oakland Raiders (for finessing the Pittsburgh Steelers) for pulling off the blockbuster trade of the offseason. Applause for the Raiders is most interesting because my, how things have changed since last August, when people across the NFL were having a Welven The Great-type laughs at Oakland’s expense thanks to the Khalil Mack trade/disaster. But while this unofficial trade for the sometimes-combustible Brown comes with risks, let’s start with the positives. The Raiders didn’t give up much to get him. When the Brown-to-Oakland rumors first started flourishing a week ago, I said on the Yahoo Sports NFL Podcast that if the Raiders surrendered one of the first-round picks they received for Amari Cooper and Mack — who is older than Cooper and not as valuable as Mack — then I would incinerate them in a column. No need, it turns out! Not only did the Raiders not give up a first for Brown, they also didn’t even give up a second, which hell, I probably would have. Instead, they gave up only third- and fifth-round picks for one of the five best receivers in the NFL and a guy coming off a 104-catch, 1,297-yard and 15-touchdown season? Even with Brown set to turn 31 in July, you can sign me up for that. Pittsburgh fans will surely cling to the hope that their Steelers bailed on Brown just on schedule, right before some sort of off-field meltdown or on-field regression, because after all, Father Time — much like the contract year — is undefeated. But from a football perspective, Brown doesn’t figure to fall off soon. He is a famously hard worker, someone who was more open last season than ever. His route running, burst out of breaks and glue-like hands should allow him to compete at an elite level for years, while also allowing the Raiders to get the value they are seeking out of the brand-new $50 million deal they reportedly plan on bestowing him. As for the off-field meltdown part, well, yeah, that’s a wild card here. But given how little the Raiders surrendered for Brown— just money, essentially — it’s a gamble worth taking to aid one of the league’s most inept offenses, one that must also have the weaponry to compete in the AFC West, home to the reigning MVP Patrick Mahomes, and two of the league’s best 10 offenses (Chiefs, Chargers). Besides, it’s definitely reasonable to think the Raiders will, at least for a while, get a fairly satiated Brown. He is an outspoken player who can stir things up when he doesn’t feel respected, particularly on social media. But here’s what respect equals to a wideout, even a diva like Brown: money plus targets – and Brown now has plenty of the former. Entering this offseason, Brown had three years left and zero guaranteed money coming to him on his contract. He now has $30 million coming to him, thanks to the pending new deal that will make him the highest-paid receiver in the NFL. And when you add that to coach Jon Gruden’s proven ability to feed his top wideout — prior to last year, he had 11 straight seasons as a head coach with a 1,000-yard receiver — it’s not a stretch to think that Brown and the Raiders are due a honeymoon period. As the “Z” or “flanker” in Gruden’s West Coast offense — also known as the Jerry Rice position — he will be the No. 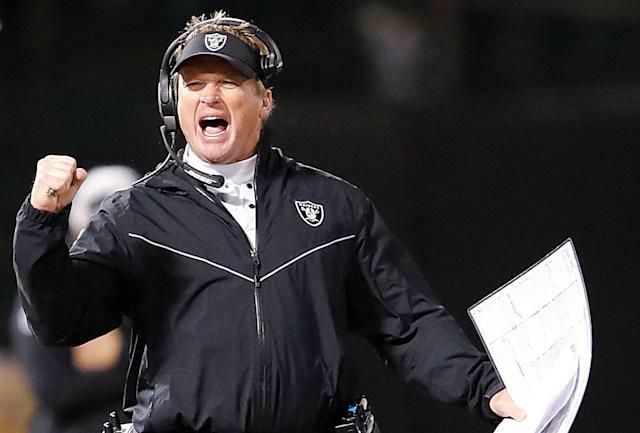 1 option on practically every route concept Gruden draws up in 2019. Targets will be in abundance, and Brown will love it. There’s still a chance this all backfires, especially if the Raiders keep losing next season. Brown has a big personality, and he’s, um, demonstrative on the sideline when he doesn’t get his way. So if the Raiders are indeed committed to Derek Carr as their starting quarterback — and I’ll just say this: Kyler Murray brings a unique “second-reaction” playmaking element that Gruden loved in Patrick Mahomes in the 2017 NFL draft — there’s a chance the outspoken Brown runs roughshod over Carr, one of the NFL’s nice guys, and upholds his reputation for causing commotion. Jon Gruden and the Raiders have good reason to be pumped up after landing one of the NFL's top wideouts without having to surrender a first-round draft pick. If Carr is indeed the Raiders’ guy for 2019, there’s also a chance Brown builds a nice kinship with him, especially during the honeymoon phase. Carr had good, but not great, stats in 2018 — 68.9 completion percentage, 4,049 yards, 19 touchdowns and 10 interception — but was pretty accurate in 2018, according to Pro Football Focus. He was even more accurate (and threw less uncatchable balls) that Brown’s old quarterback, Ben Roethlisberger, did. That’s not to suggest Carr is superior to Big Ben, a future Hall of Famer. He’s not. But for those pinning their hopes on seeing Brown crumble without Roethlisberger, just know that he won’t exactly have JaMarcus Russell back there throwing him the ball. Carr, who will be 28 later this month, is a three-time Pro Bowler with 122 career TD passes compared to 54 interceptions. They could be just fine. One more big thing Brown will also appreciate about Carr: He will never have to worry about his quarterback throwing him under the bus publicly the way Big Ben used to. That’s got to be worth at least two fewer AB meltdowns that never see the light of day this season. So yes, the trade is a reasonable gamble for the Raiders, who have a storied history of being a home for talented-but-combustible players. Those crazy fans will embrace AB, and he’ll embrace them right back. For a franchise long mocked for its ineptitude under owner Mark Davis, there sure is a lot to like. NCAA tournament big board: Gonzaga now No. 1 overall?